The 1550nm Manual Tunable Optical Filter is based on thin film cavity filter technology, its center wavelength could be precisely achieved by adjusting a screw, it passes wavelengths within a certain range and rejects (attenuates) wavelengths outside that range while maintaining the transmission spectral shape polarization- insensitive over the whole tuning range. 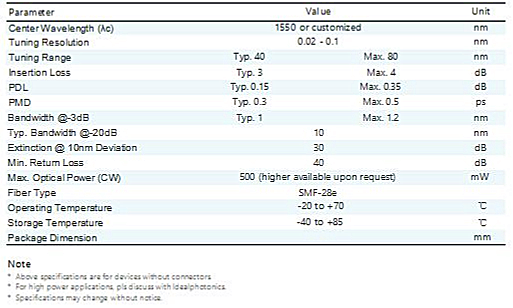 It is tunable continuously over a wide spectral range up to 80 nm. 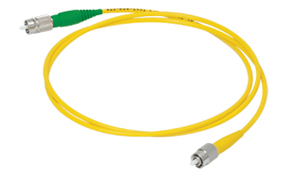 The manual fiber optic tunable filter features low insertion loss.